A chart on the milestones and potential symptomatic issues in each stage of childhood development. 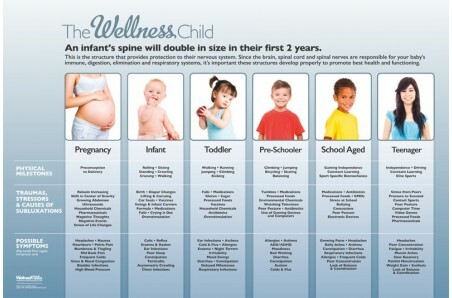 This poster is a great conversation starter on how chiropractic can help children self heal and self regulate more effectively. 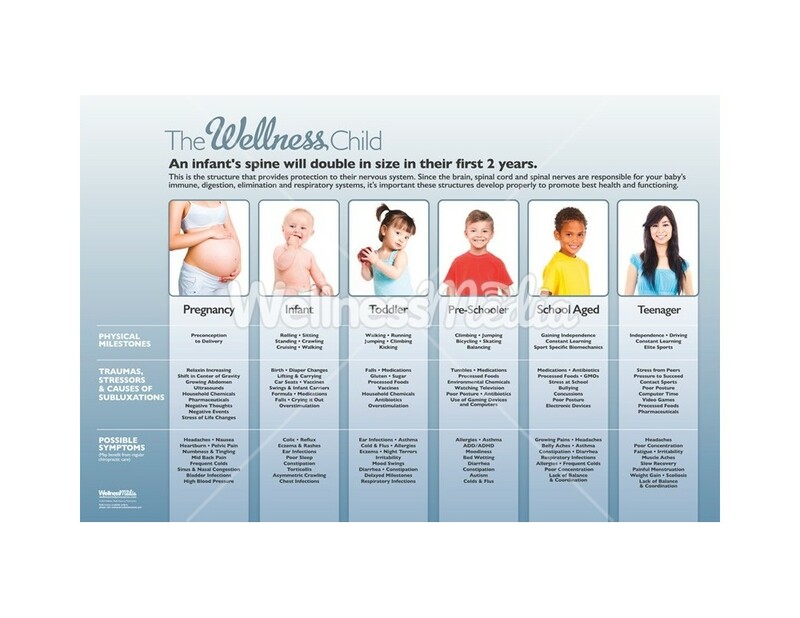 This poster outlines the physical milestones, traumas, stressors and possible symptoms associated with each stage of development.